The ITU World Triathlon Series is in full swing and in this guide I’m going to show you how you can watch it completely for free. No need to sign up for the expensive Triathlon TV service. 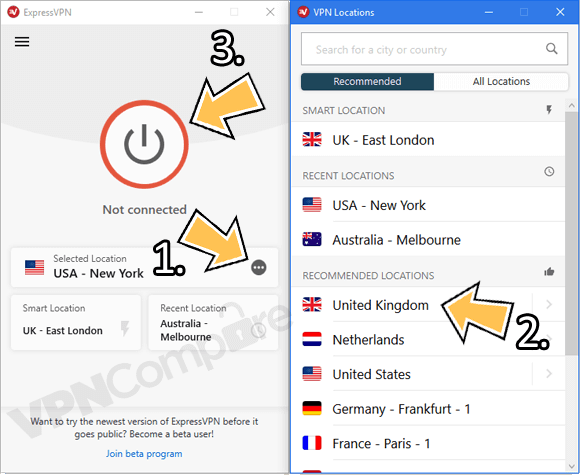 All you’ll need is a little app called a VPN which I’ll explain a little more about further down in this guide. 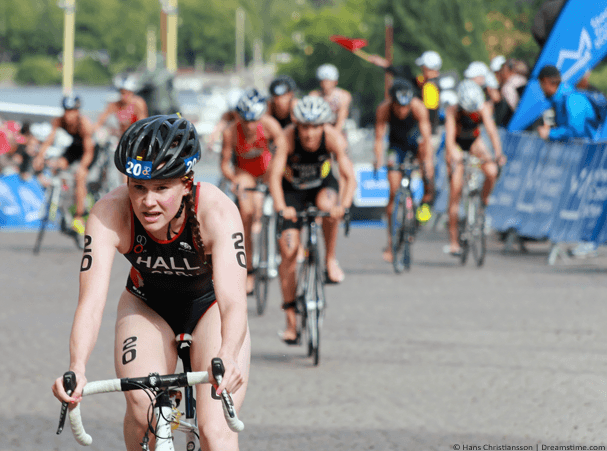 The ITU World Triathlon Series is one of the most exciting Triathlon events in the world. Spanning 5 continents the event hits everywhere from Canada to London and the UAE to Australia. If you’re a Triathlon fan then you’ll no doubt want to watch the coverage but depending where you are in the world your options can be extremely limited. Below I’ll show you how you can watch the ITU World Triathlon Series officially practically free. The ITU World Triathlon Series is shown around the world in different forms. In some countries they get full live coverage of the event, in others recorded coverage. In some they get highlights and in many countries they get no coverage at all. If you’re a Triathlon fan and you’re in a country that gets no coverage, highlights or expensive cable coverage only then I’ve got the solution for you. In the UK the ITU World Triathlon Series is shown live on the BBC network. You don’t require a cable subscription to receive the BBC and their service is shown freely on the TVPlayer website. However, if you pop over to the TVPlayer website right now and you’re not in the UK then you’ll be blocked from watching. By using a VPN app from a provider such as ExpressVPN you can unblock BBC iPlayer and watch the ITU World Triathlon Series in any country on the planet. Below I’m going to show you the simple steps. It’s beginner-friendly and will take less than a few minutes to do. To watch the ITU World Triathlon Series you’ll need to get yourself an app called a VPN. These are offered by more companies than I care to count. My recommended provider is ExpressVPN because they’ve got a huge 30-day money back guarantee. Also if you want to watch the entire year’s ITU then they’ve got 3-months completely free on their annual package which is well worth checking out. Visit your chosen VPN service, for example my favourite ExpressVPN and sign-up for their service. Download the correct app for your device type from the Products section of their site. They support Android, Apple iOS, Windows, Mac & Amazon Fire TV Stick. Open the downloaded app and login with your account details. Press Choose Location (1) and then click United Kingdom (2). The app will automatically connect for you but if it doesn’t press Connect (3). Once connected visit the TVPlayer website. You’ll need to create a free account on the TVPlayer website to watch the BBC but it only requires a name and an email address. Once you’ve created the account you can watch the ITU World Triathlon Series live on the BBC for free. If you’re struggling to locate the correct options to connect just take a look at the example image below to see how simple it is. The World Triathlon Series is shown across the year starting in and around March and ending around September. Using a VPN from ExpressVPN as explained above you can tune in on any of the dates above and watch all the events. If you want to watch the entire year’s coverage then it’s worth taking advantage of the 12-month deal from ExpressVPN because it comes with 3 months completely for free saving you up to 49% on the standard price of the service. If you miss any of the live events or you can’t make it because of time differences then you can use the BBC iPlayer service to watch on catch-up TV and highlights. You’ll also need to create a free account and although it doesn’t require any details you’re required to own a UK TV Licence to watch this service. To watch the ITU World Triathlon Series live online for free you’ll need to get yourself a VPN service. A VPN will unblock the live stream from the BBC in the UK allowing you to watch anywhere in the world. I recommend you use ExpressVPN because they’re compatible with the largest range of devices. They also have a risk-free 30-day money back guarantee so if you can’t get it working then you can simply get your money back. Click the button below to visit the ExpressVPN website and sign up for their service. Download their app for your type of device and connect to the United Kingdom. You can then watch the ITU World Triathlon Series on TVPlayer from any country on the planet! What’s your favourite Triathlon event from the World Series? I’d love to know so why not share your thoughts in our comments section below.